Ashaiman Area Women’s Ministry of The Church of Pentecost held the maiden edition of its “SUAYE” initiative (translated: “Learn how it is done”) on Tuesday, October 16, 2018, aimed at building the capacity of members of the church, particularly the youth. 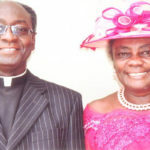 The event, which was held in conjunction with the Area Youth Ministry, was organised to teach members how to prepare sumptuous meals, dress decently, lay a bed and set a dining table, among others. In her opening address, the Area Women’s Leader, Deaconess Josephine Donkor, explained that it is important to educate and prepare members especially the youth to learn how to live good, healthy and decent lives. 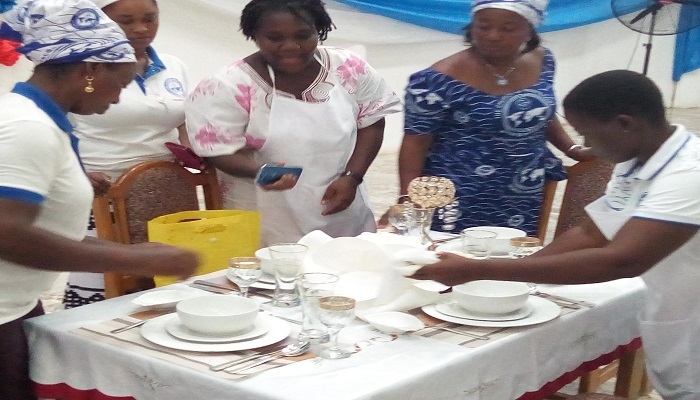 During the event, Deaconess Donkor and her team of experts gave members practical lessons on how to set a dining table with the appropriate cutlery sets and plates. They also taught them various food safety tips, the importance of healthy cooking, as well as varieties of ingredients and herbs that could be used to spice up meals. Participants were also taught how to lay beds neatly. In his remarks, the Area Youth Leader, Pastor David Amankwaa, who doubles as the Resident Minister of PIWC-Michel Camp and the Area Music Director, said that there are many instances in Bible that highlight the need for individuals to obtain knowledge for everyday living. He, therefore, encouraged members to put into practice what they have learnt.